Think of “Classical Music” and we think of music that fills the largest concert halls– operas, symphonies, concertos…. But in the works we will play on this program, the composers speak to us using a different voice. 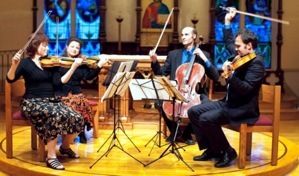 Chamber music is the intimate music composers wrote for themselves, their patrons and their friends to play at home and in small gatherings of music lovers. Haydn wrote an astonishing 68 quartets in his long lifetime. Just as today we wait for a favorite actor’s new movie to be released or another book by a best-selling author, Haydn’s quartets were eagerly awaited by the music lovers, players and listeners alike, who wished to be “up on the latest.” Haydn’s string quartets Op.76, completed in 1797, comprise the last complete set of quartets that Haydn wrote. Op. 76, No.1 is a delightful example of music-making as a conversation among friends, with agreements, disagreements, discussions, shared jokes, and shared sadness expressed in the music. Dvořák’s “American” quartet written 100 years later brings a different type of vision into the living room. Dvořák, a proudly nationalistic Czech composer who incorporated rhythms and melodies of his beloved Bohemia in his music, spent three years in the United States as Music Director of a new conservatory dedicated to helping American composers find their own “national music.” In immersing himself in whatever he could find of Native American and African-American music in order to help the young Americans in this task, Dvořák’s own musical vocabulary was affected. This quartet, was written during a summer vacation spent in the farming town of Spillville, Iowa, which was home to a Czech immigrant community. It brings the sounds and sights of the prairies and the melodies of spirituals and Native American song into the classical quartet language. For players and listeners, this quartet is less of a conversation and more of a passionate journey expressed through melody and rhythm. It is a great joy for us to share this music with you. All performing members of Intimate Voices have varied careers as soloists, chamber musicians, orchestral musicians, teachers, and recording artists, in both the classical and pop genres. 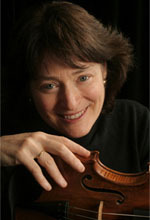 Sheila Reinhold gave her first performance as soloist with orchestra at the age of nine and later studied with Jascha Heifetz for five years. Ms. Reinhold’s engagements have included solo appearances with Zubin Mehta and André Kostelanetz; chamber music with Heifetz and Gregor Piatigorsky; and performances with popular artists such as Tony Bennett. On the faculty of the Chamber Music Conference and Composers’ Forum of the East, she is also currently head of the string faculty at the Children’s Orchestra Society. She has premiered solo and chamber works for both violin and viola and is featured on a newly released cd of music of composer Victoria Bond. Ms. Reinhold has served as concertmaster for the Columbia Festival Orchestra, most recently for A Classical Road Trip performed at PS21 in Chatham (2008). Hailed as a “real star” by The New York Times for her New York concerto debut, violinist Renée Jolles has premiered hundreds of works, including the American premiere of Schnittke’s Violin Concerto No. 2. Ms. Jolles is a member of The Jolles Duo, Continuum, The Roerich Quartet, The New York Chamber Ensemble, and is a concertmaster of the world renowned conductorless Orpheus Chamber Orchestra. Committed to performing new music, she can be heard on three new albums which showcase the music of composers Oleg Felzer, Victoria Bond, and Ushio Torikai. Ms. Jolles is on the faculty of Juilliard Pre-College, Mannes Preparatory Division, and the Bowdoin International Music Festival. She has performed as a soloist and as concertmaster with the Columbia Festival Orchestra. 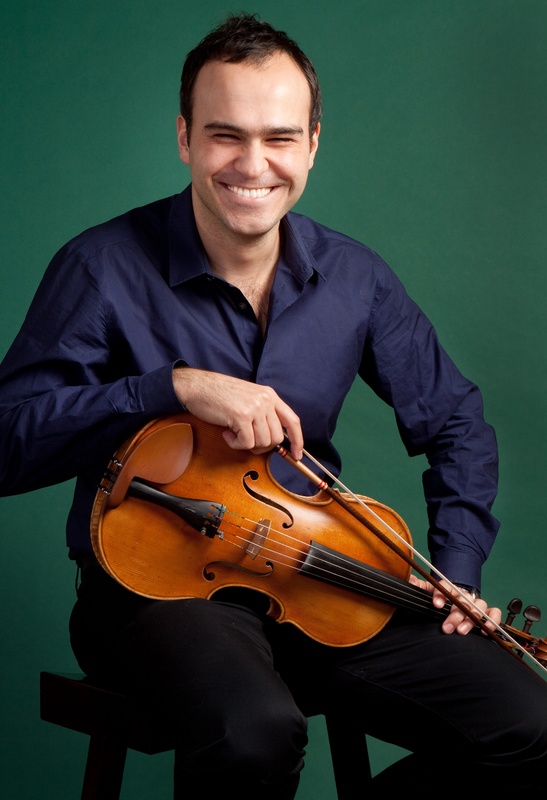 Canadian violist Max Mandel is one of the most acclaimed and active chamber musicians of his generation. Mr. Mandel’s current group affiliations include the FLUX Quartet, Kirby String Quartet, Silk Road Ensemble, Metropolitan Museum Artists in Concert, Jupiter Symphony Chamber Players, Smithsonian Chamber Players, Caramoor Virtuosi, Blarvuster, ClassNotes, The Knights, and I Furiosi Baroque Ensemble. Mr. Mandel has been Guest Principal of The Chamber Orchestra of Europe, Camerata Nordica and The Canadian Opera Company Orchestra. He is also a frequent guest of Tafelmusik Baroque Orchestra. Cellist Greg Hesselink has premiered numerous works including concertos by James Tenney (on the tenor violin), Ross Bauer and Daniel Weymouth. 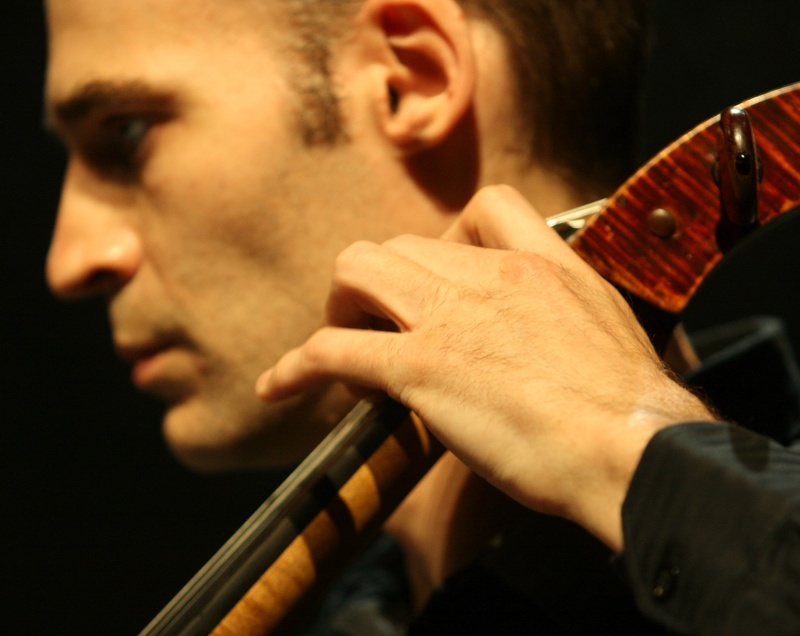 Greg leads an eclectic musical life as a member of the Naumburg-winning New Millennium Ensemble, Sequitur, the Locrian Chamber Players, Newband, and as principal cello of the Riverside Symphony. He has also performed with the dance companies of Cedar Lake, Mark Morris, Merce Cunningham and Nai Ni Chen. An active teacher, he has taught at Sarah Lawrence and Priceton, and is currently on the faculty of Mannes Pre-College Division.